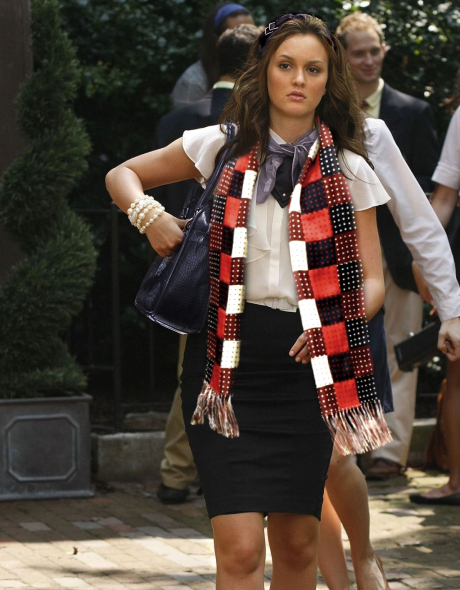 Blair wearing Chuck's scarf. Blair wearing Chuck's scarf. No this didn't happen on the show, unfortunately. I made it.. Wallpaper and background images in the Blair & Chuck club tagged: gossip girl blair waldorf chuck's scarf scarf fan art. This Blair & Chuck fan art might contain aliiba, suti biashara, and biashara suti. LOL, no, this isn't a serious picture! IT'S LIKE THE MOST AWESOME THING EVER!!! Ha-amazing. Oh I wish this really happened!